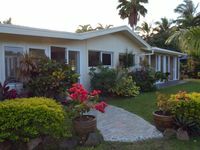 Property 8: LeoMae Rarotonga. Stunning home in Titikaveka. Property 41: Orani - perfect for a budget conscious family! 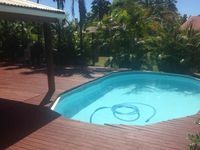 Surf Mist, Cook Islands, 2 bedroom modern home, with private pool, sleeps 5. Property 49: Surf Mist, Cook Islands, 2 bedroom modern home, with private pool, sleeps 5.